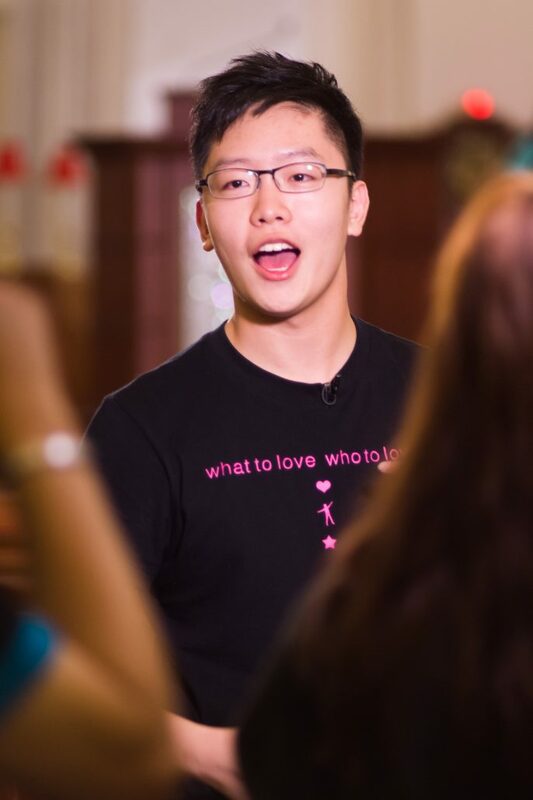 The Hong Kong Virtuoso Chorus (HKVC) was invited by Asia Television to participate in the filming of the 2013 Hong Kong Loving Hearts Campaign. 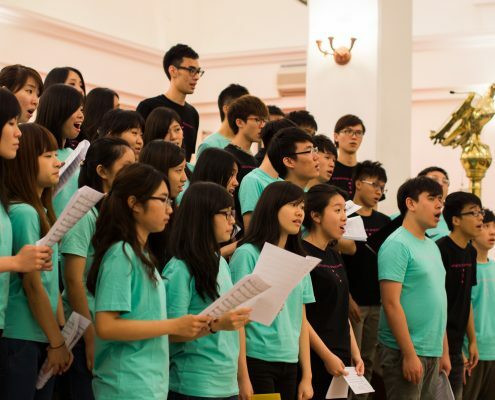 This event brought the HKVC to the attention of previously unacquainted audiences via the Chorus’ unaccompanied performance of the Cantonese opera classic “Princess Chang Ping”. 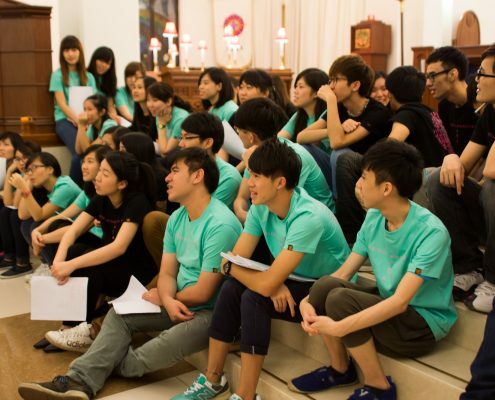 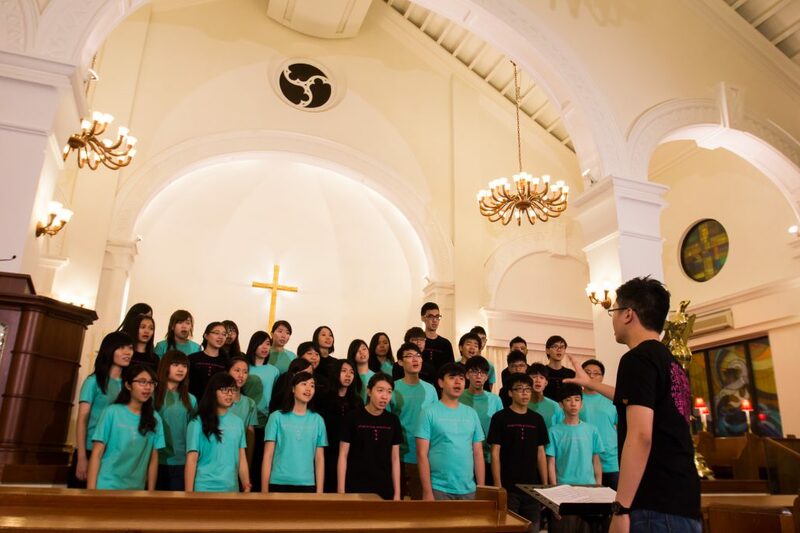 In the accompanying interview, HKVC founder and conductor Kelvin Lau, along with two other members Cindy Pong and SY Suen discussed the HKVC’s mission and development over the past years. 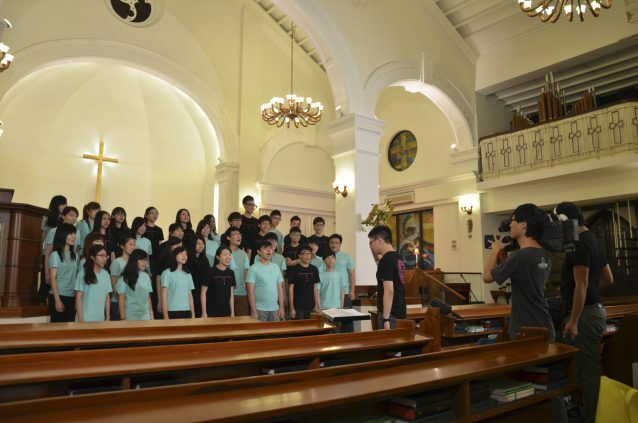 The performance and interview familiarized audiences with the HKVC’s background and vision. 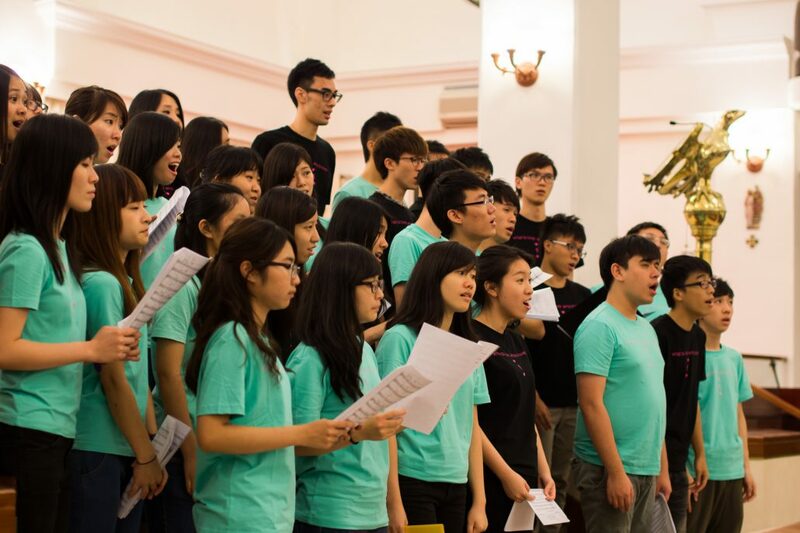 Members offered their part-time income to cover HKVC’s operating expenses and complete one after another of their own concerts and musicals. 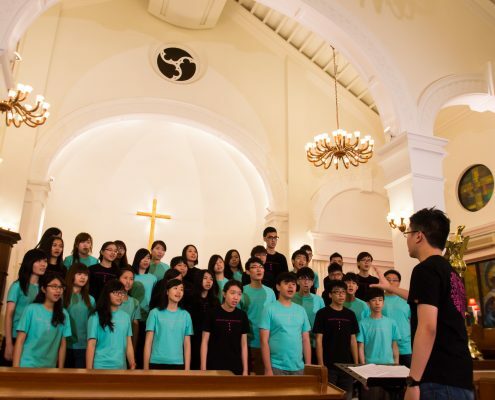 The young people in this group hope to bring music to the awareness of students and the public and thereby give back to the community. 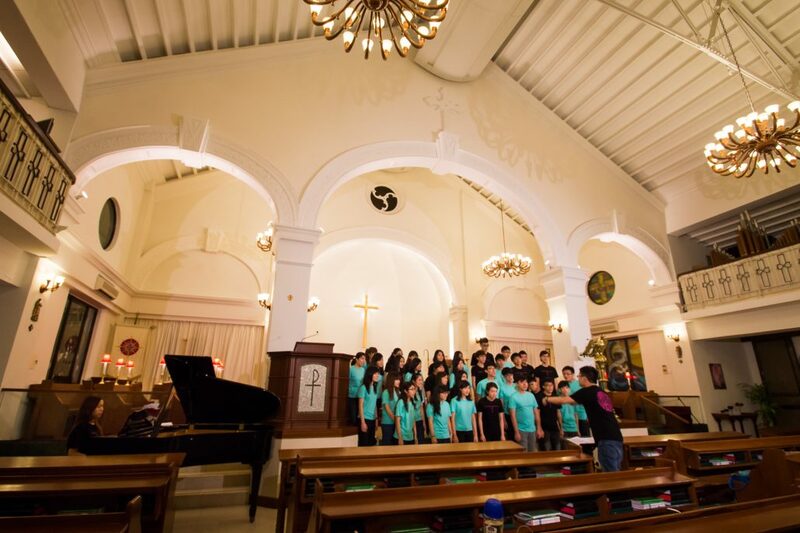 Later on, HKVC raised funds to organize the “Development of Children’s Music Talents Program” in three primary schools. 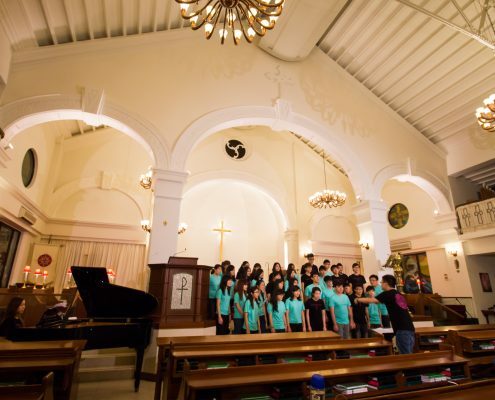 The program gave primary school students free singing lessons in the hope of inspiring students to make full use of their own time in pursue their dreams and enable them to make a positive impact upon growing up. 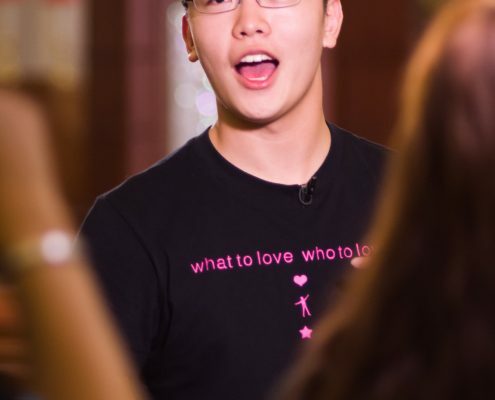 Aside from music-related charity work, another of the HKVC’s missions to let the wider community know that a group of post ‘80s and ‘90s youth have the capacity to make use of their positive energy in bringing about real change. 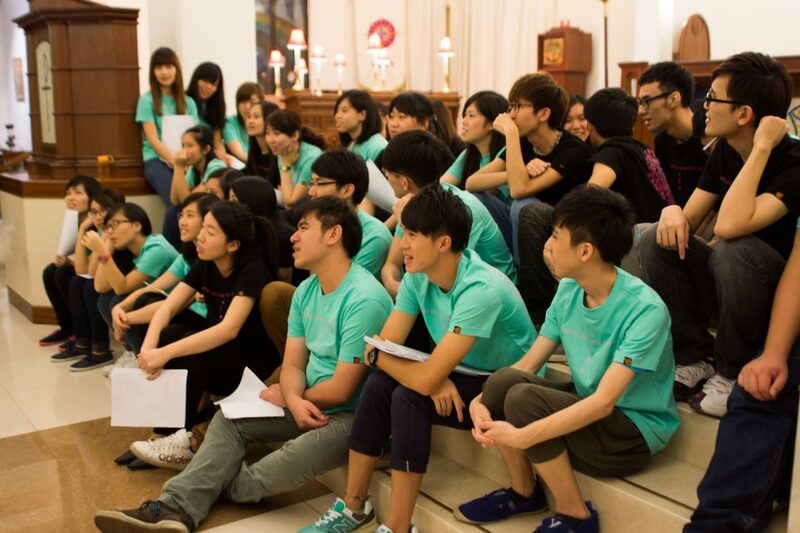 They are not only dreamers, but more importantly take decisive action in pursuing their aspirations. 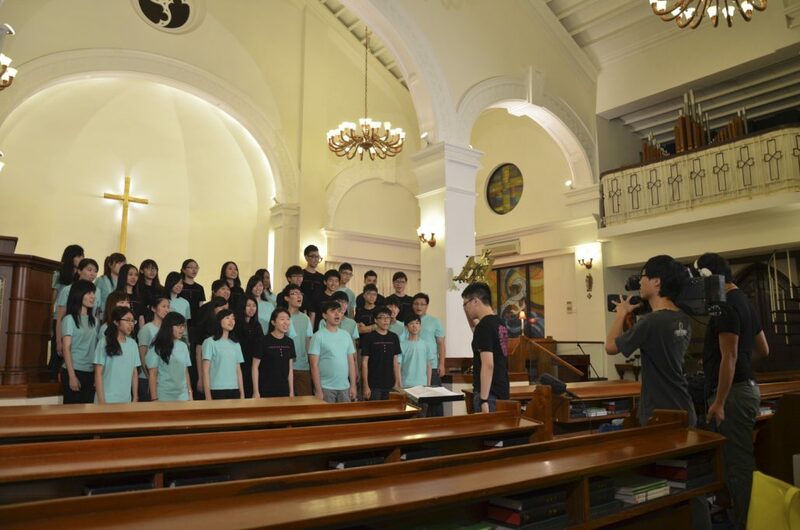 Finally, the judges of the program wished the HKVC well in serving the community and bringing music to children.